Are we alone in the Universe, the Galaxy? The honest answer to that question is, I don’t know. And that would be the answer you would get from anyone in the world right now. However, there are two major opinions; yes, or no. The greatest egotistical argument of humanity is that we are in fact alone, that we are the one and only ruling civilization in the universe, without having stepped out of the front yard. 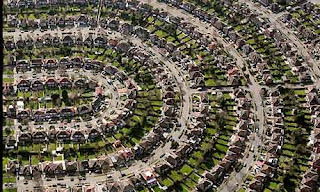 Imagine the galaxy as an estate of houses, each street spiraling out like arms, our solar system just one house on one of those streets, the Earth and all on it occupying the equivalent of the closet under the stairs. How can we know for certain that on the next street across there isn’t a house with an occupied closet or one on the other side of the estate with rooms filled with life. Sure we have reached out into the galaxy we can see a large number of the houses around us and get a good idea about what the rooms might be like but probes like Voyager and Pioneer are still mere ants teetering on the top of the white picket fence out front, and the sparks of life haven’t quite reached out yet. The bible defines what I have as faith; “The substance of things hoped for, in the presence of things unseen”. I have faith that another closet out there is filled like ours instead of filled with dust busters and old wrapping paper. So instead of letting you ego become so large that you head won’t fit out the closet door to even look just think, either way what you have is faith, and question you need to ask is what it is you are hoping for.